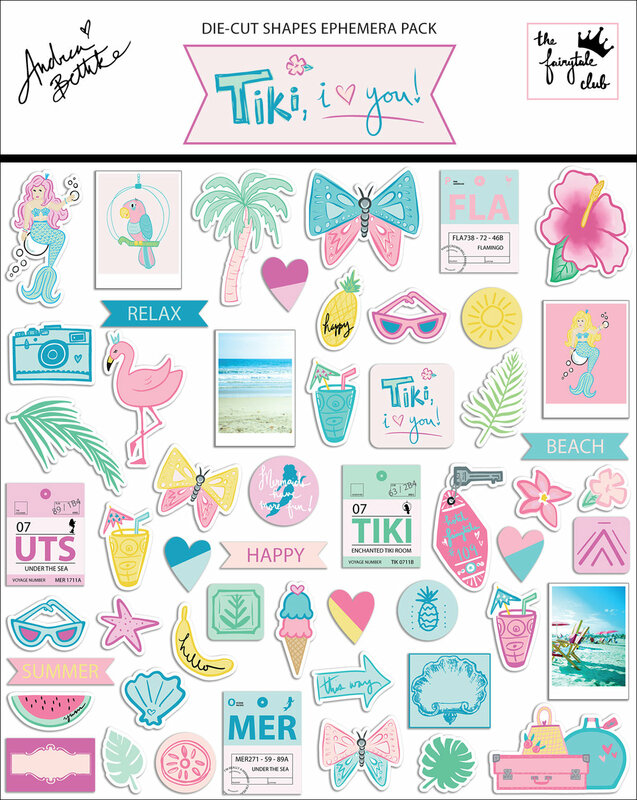 Along with the flair buttons, full-color vellum sheet, die-cut shapes ephemera pack, die-cut words ephemera pack, and sticker sheet, the "Tiki, I Love You!" 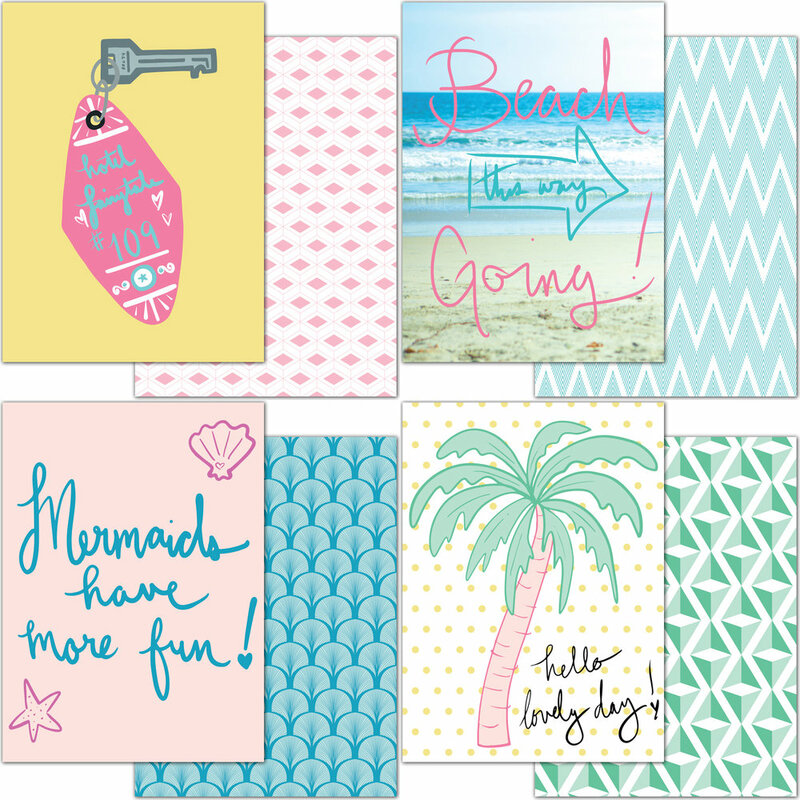 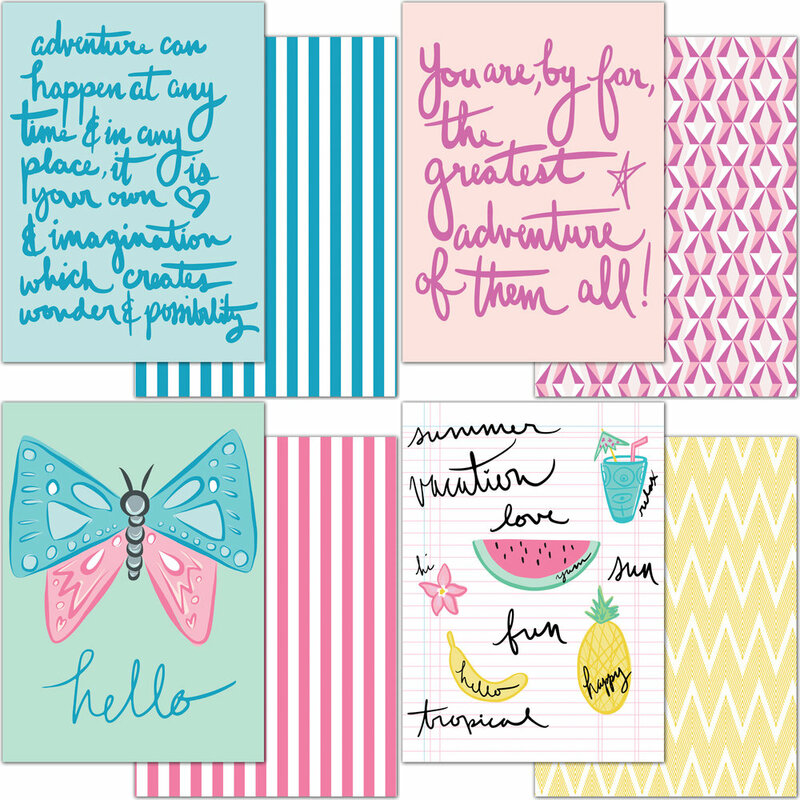 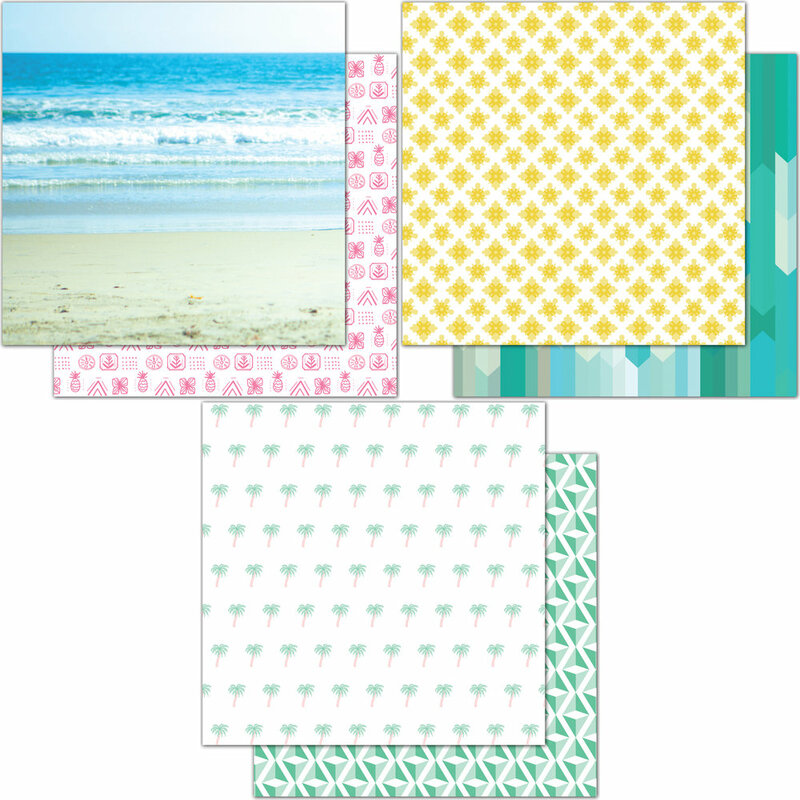 happily ever after kit contains 9 double-sided 12x12 patterned papers AND 12 double-sided planner dividers in your choice of either Personal (4 1/8" x 7 3/16") or A5 (6" x 8 1/4") size (choose during account sign up, and change your preference any time in the customer portal), and a packet of matching multi-color sequins for your delight. 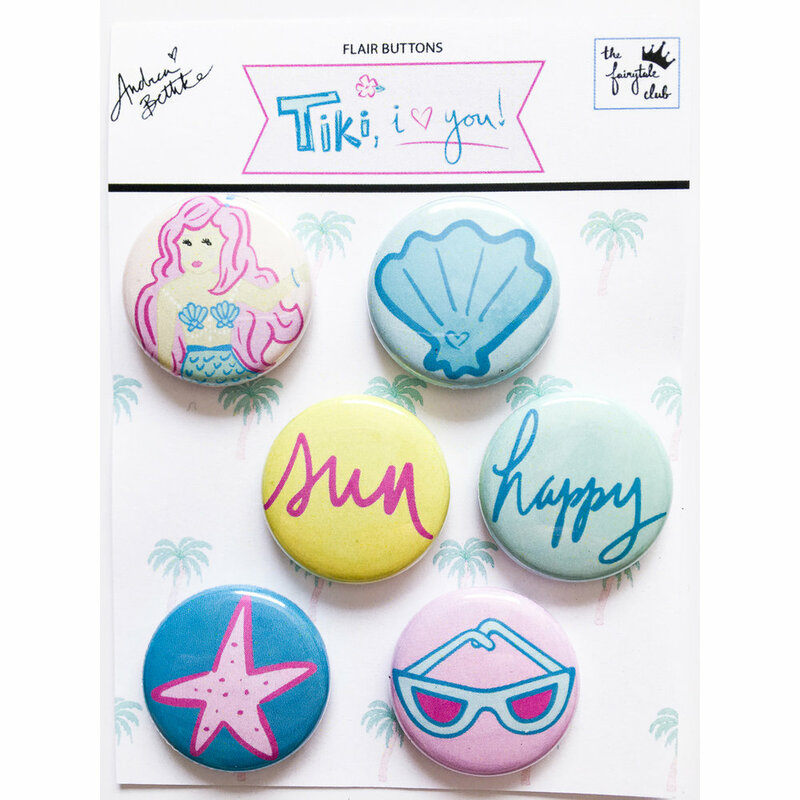 Aside from the sequins, everything in the kit has been hand-designed in-house by Andrea Bethke and is exclusive to The Fairytale Club.